The issue was related to AWS ELB and is now resolved. 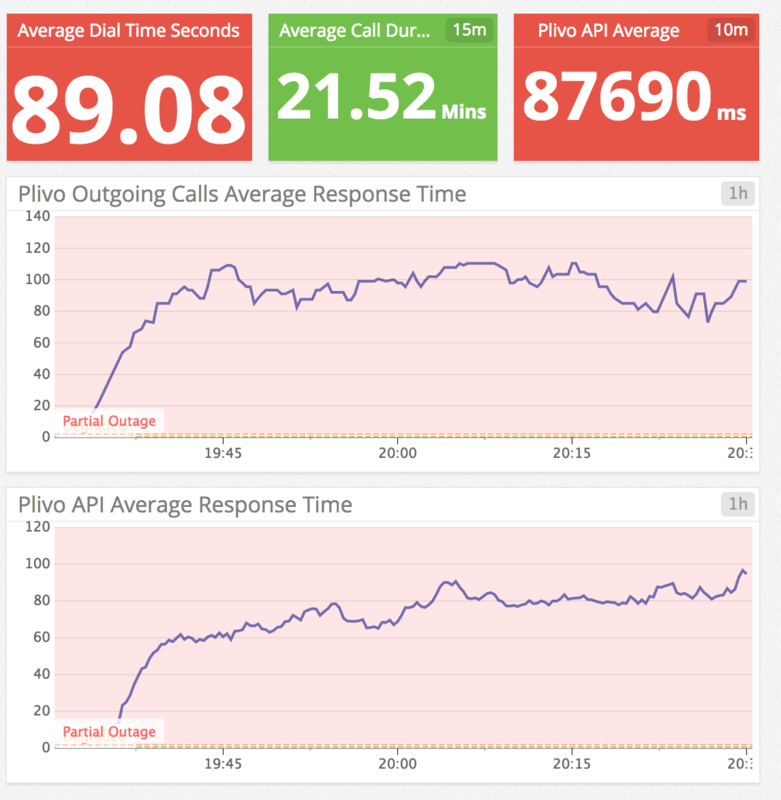 Plivo's incoming/outgoing calls are failing. Trackdrive's Provider "Tracktel" is still working. Please use our provider to avoid downtime! Subscribe to updates for Plivo Incoming/Outgoing Calls Down via email. Whenever an update is posted, you'll receive a notification.